Most of the people are certainly familiar with Calculus already from high school and the beginning of university. It is usually associated with concepts like infinitely small, behaviour at infinity, finding the area under the graph, and finding the rate of change. It seems to be so much about infinity (which is difficult to imagine) but not that much about finite values. 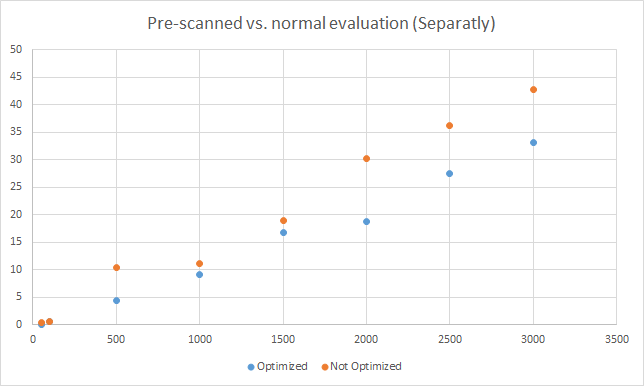 So why not look at finite differences instead? In this article, we are going to see how powerful the concept difference is, and how we can apply it to real world problems. First, we are going to look at how the difference can be found in a sequence. Secondly, the way we can find the next term and later on how we can get a formula to generate the nth term. Finally, we are going to use the idea of finding the nth term to find an expression of the sum. It is quite intuitive, once we see a sequence, to try to find the difference between adjacent terms. If we are not satisfied, we look at the difference of the differences, and so on. Our aim now is to construct a method that will behave like we normally would in this situation. First, however, let’s look at what happens when we take the difference of each term. We can take the difference as many times as we like, but given that a sequence was constructed with only addition, subtraction, multiplication and division i.e. it was a polynomial, there is going to be a point when we can stop taking the difference. The important thing now to realize from this figure is that the difference expression contains the coefficients from the Pascal’s triangle. This is good if we want to take the difference many number of times. The code below utilizes this observation. /// Finds the difference between terms in a sequence. By chaging the degree, we can take difference of the differences. /// Finds the next term in the sequence, given that a pattern exist. // have find the term to start with to figure out the n+1 term. This is a bit more tricky to find in contrast to what we’ve done so far. The nth term is very dependent on the number of times the difference operation has to be taken before we end up at zero. In the previous example, we had to take it three times to get to zero. The polynomial we got had the second degree. It turns out that if we had to take the difference \(n\) times to get to zero, the polynomial is of the degree \(n-1\). This is quite useful, because if we know how the polynomial looks like, the only thing we need to find are the coefficients (more in-depth tutorial). When we reduce this matrix to echelon form, we get that the coefficient for \(n^2 \) is \(1\), and zero for the remaining terms. 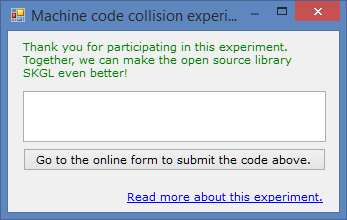 The code below does this task. /// Finds the coefficients of the nth term and returns them in a double array. The first item in the array is of the highest power. The last term in the array is the constant term. The coefficients we get correspond to a term in the polynomial. For example, if we get \(3, 2, 1\), the polynomial is \(3x^2+2x+1\). When we first think about how we can find the closed form for a sum, we might conclude that it is difficult. In Concrete Mathematics – A Foundation for Computer Science, an entire chapter (chp. 2) and a great part of other chapters is dedicated to sums, and the way we can find the anti-difference. At least, that was my thought when I got this idea. But later, an interesting thought came up to my mind, and that is to treat the sum as a sequence and the sequence as the difference of the sums’ terms. Let’s clarify this. If we have the sequence \( 1,2,3,4,\dots\), we can construct the partial sums, i.e. \(1, 1+2, 1+3+4, 1+2+3+4\), thus \(1, 3, 6, 10\). But the partial sums form a new sequence which we can analyse in a similar way. This means that can we can reuse quite a lot of code. Now, since in the original sequence \( 1,2,3,4,\dots\), we have to take the difference twice to get zero, in the new sequence \(1, 3, 6, 10\), we have to take the difference three times. The code for doing this is shorter, in contrast to the previous ones. /// Finds the coefficients of the closed form of the sum and returns them in a double array. The first item in the array is of the highest power. The last term in the array is the constant term. You can find all additional methods in the FiniteCalculus class in Mathos.Calculus (Mathos Core Library). Also, you can see this code in action here! RubyInt project, or Iron Ruby Based Mathos Core Library Interpreter was one of the projects to be tested with the new parser feature, that is, pre-scanned expressions. In the Integral approximation module, it is quite good to use pre-scanned expressions, since the expression stays the same through the entire process. The execution time improved in this case. The integral approximation website in Mathos Laboratory (see it here) has also shown good results thanks to this optimization. In Mathos Laboratory in particular, it is important that methods are quick and use as small amount of resources as possible, because it is hosted in the Cloud. 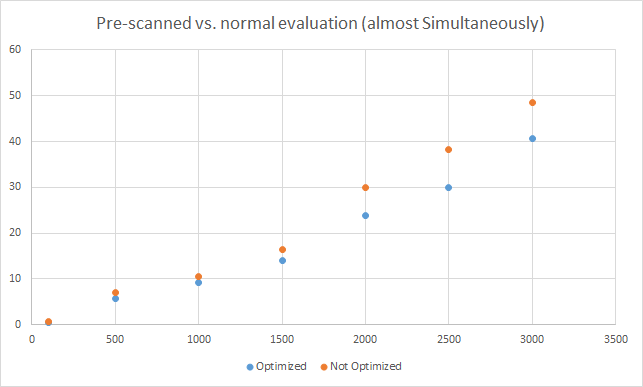 One conclusion that can be drawn from this is that the optimization only gets useful when the same expression is evaluated more than 100-500 times.